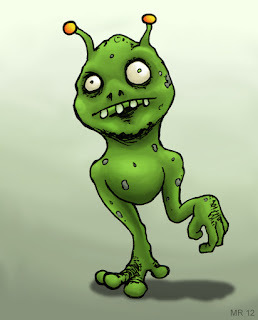 Obloggs are a race of semi-bipedal creatures. They live in a series of artificial habitats in an asteroid field, linked together my metallic structures thousands of miles long. Each habitat is heavily defended, and no outsiders are allowed. It is believed the asteroid field is the remains of their home planet, which was destroyed in an interstellar war long ago.